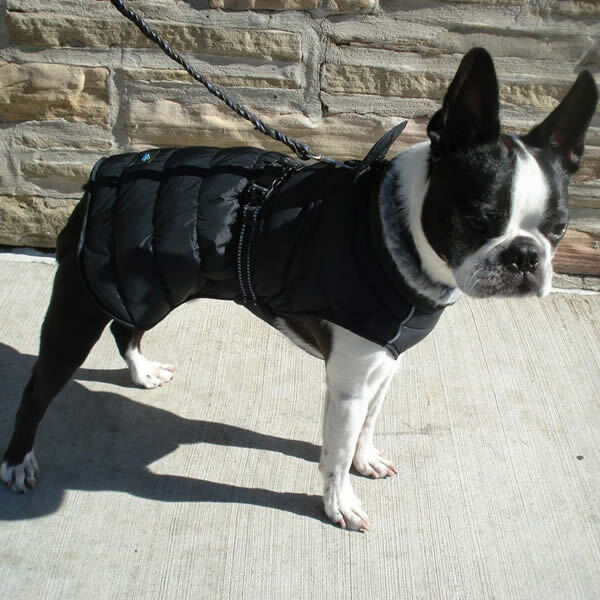 Waterproof and fleece-lined, the Puffer Coat will keep your small dog warm and dry. 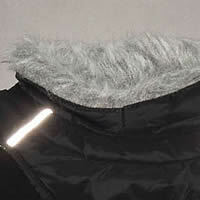 You can earn 40 Golly Gear Rewards Points on this product! 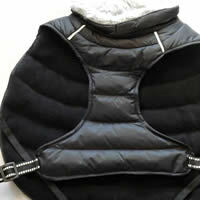 The Puffer Coat by Doggie Design will keep your pup warm and dry all winter long. 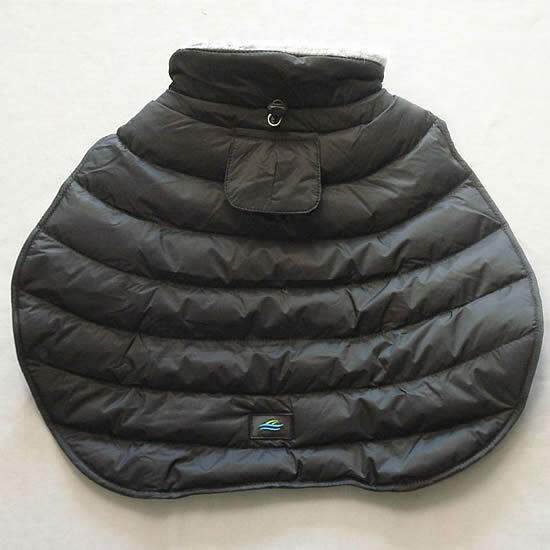 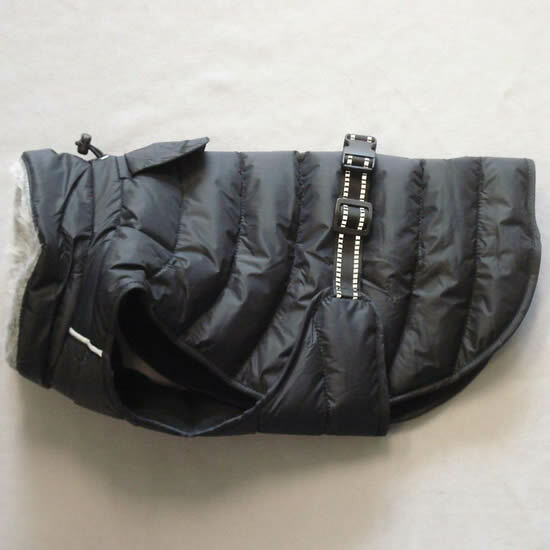 The coat is lined with thick fleece and filled with warm fiber insulation. 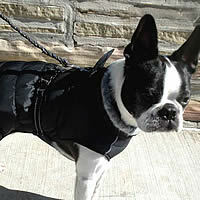 The exterior of the Puffer Coat is waterproof, so your small dog will be nice and toasty even in a snowstorm. 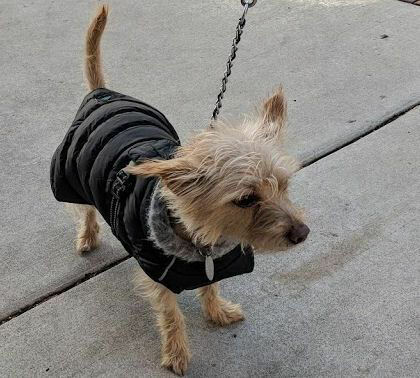 Jack is a little rescue pup, originally from Reno, Nevada, and his mom wanted a coat that's especially warm for him, having come from a warmer climate. 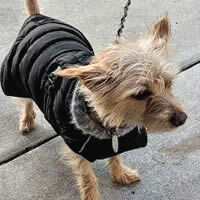 She thinks the Puffer Coat will be perfect for Jack's first winter in Chicago! 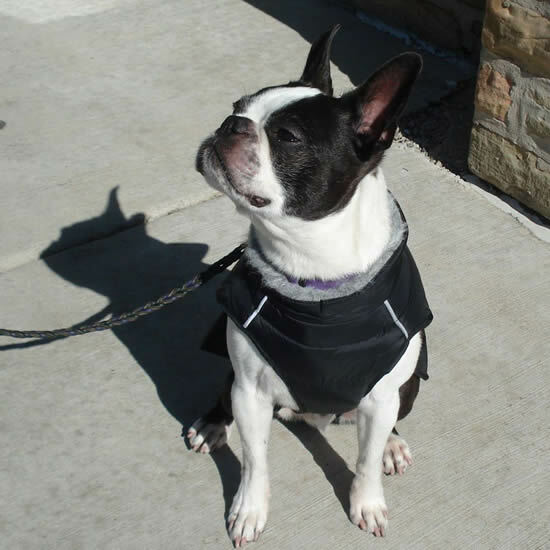 Reflective stitching at the adjustable waist strap and stripes in front at the neck ensure that your small dog will be seen, even at night! 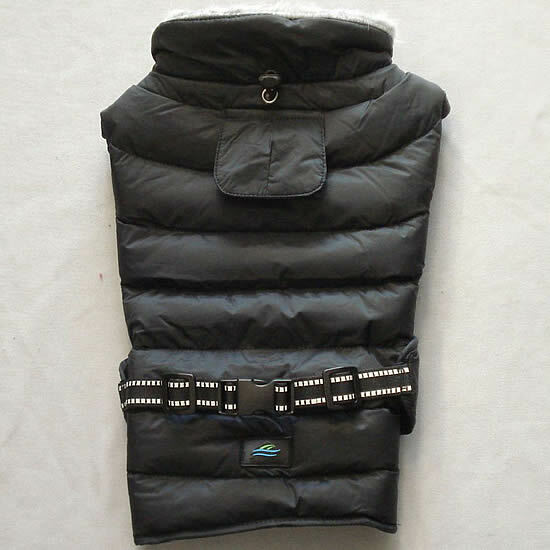 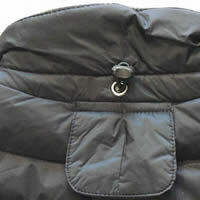 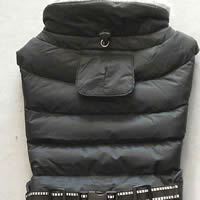 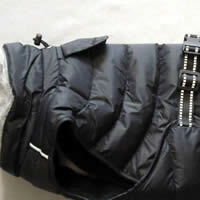 The Puffer Coat slips over your pup's head and has an adjustable buckle that snaps over the back. 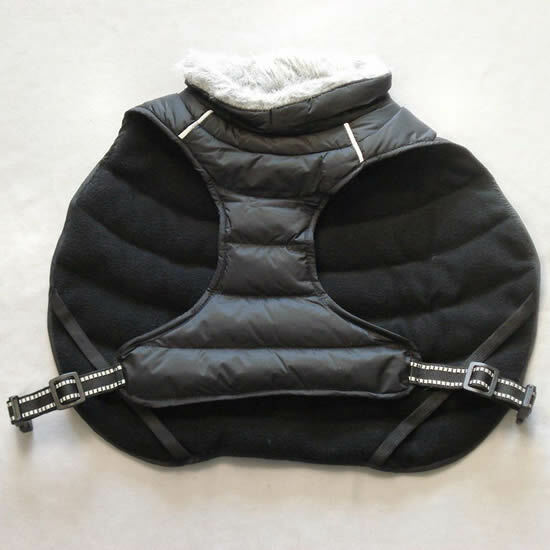 There's more chest coverage for your little dog than most coats, and we like that! 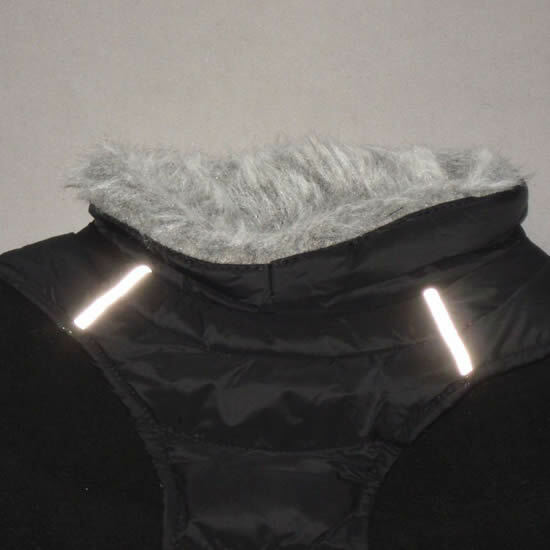 There's even a slit for the leash ring to come through that's covered. 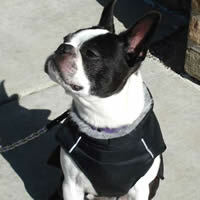 Booker (Boston Terrier) is wearing the Size Medium and Jack is wearing the Size Small. 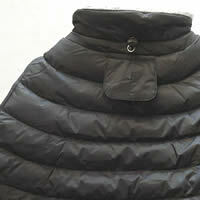 Measure the girth (most important) around the chest, just behind the front legs. 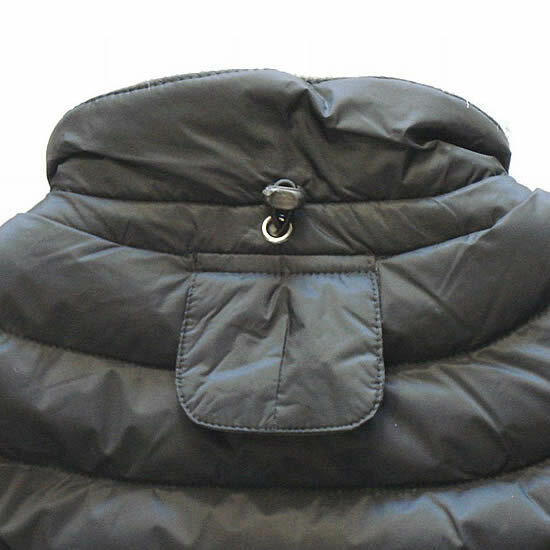 Large 15" 19" - 21"